The cynical message doing the rounds is that Pakistan is the only country that begins the New Year with a strike. 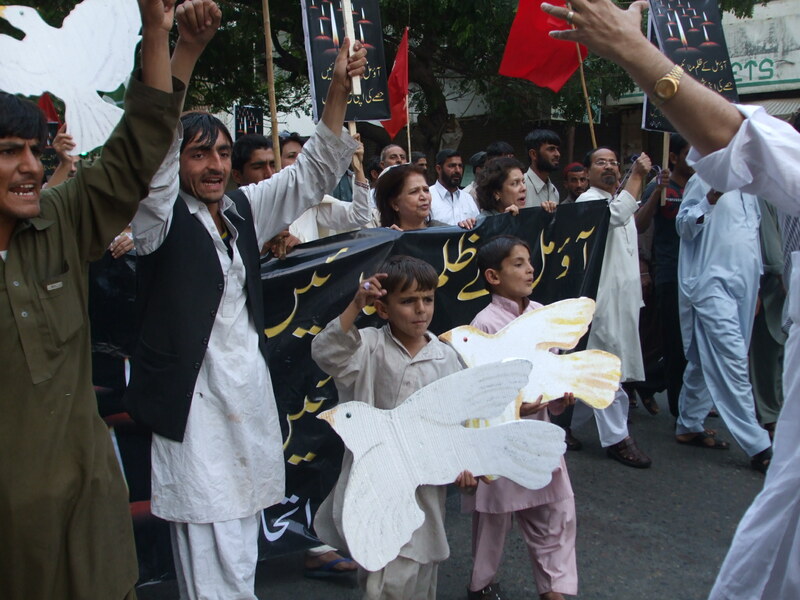 But it is perhaps also the only country where peace and solidarity rallies are taking place under the banner of Aman Ittehad, in over FIFTY locations around the country, from Quetta and Khuzdar to Swabi and Jacobabad, Sialkot to Kurram Agency (partial list below). Participants include ‘ordinary citizens’ as well as members of activist organisations. NOTE: The Karachi rally time has been changed to 4.00 pm, at the Press Club (not 3.00 pm as earlier planned). Wear white, bring friends. Subject: The day begins and news filters in!